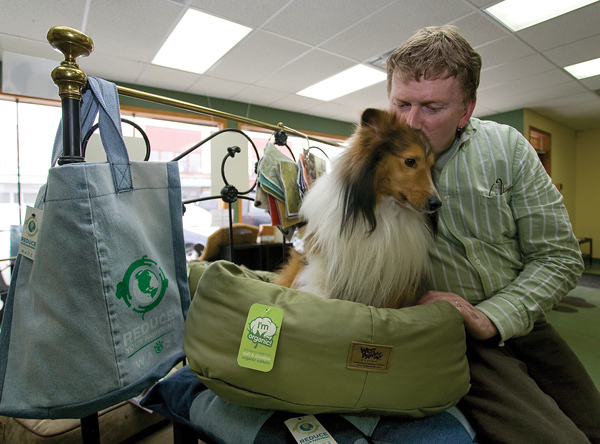 Wagz Bagz help “Reduce Your Pawprint” and benefit more than just the environment. Laura has been writing professionally for more than 20 years, starting out as co-editor of the Ubyssey Newspaper, progressing through freelance magazine writing and editing, and then moving into a long stint working in the non-profit sector. As well as magazine articles, she writes funding proposals, press releases, and other promotional copy. Laura is also a yoga teacher and an avid dancer, currently exploring Flamenco and Romany fusion styles. She lives on beautiful Denman Island with her family and pets. Ryan Parton is a freelance writer and the proprietor of Ryan Parton Writing Solutions. A graduate with distinction of Concordia University’s School of Journalism in Montreal, Ryan relocated to the Comox Valley in 2002 and has no desire to ever live anywhere else. Ryan is well travelled and has a keen sense of adventure, although his idea of adventure is gradually shifting from traversing the wilds of exotic locales to overcoming the daily challenges of raising a toddler. He lives in Courtenay with his wife Sarah and his son Spencer. Arran has a profusion of interests and writing about these experiences always provides her with a new perspective. Arran is especially passionate about environmental innovation, mountaineering, healthy living and social issues. She often loses herself in her research and resurfaces hours later amazed, enraged, motivated and hungry. Arran has an MA in English from the University of Aberdeen, where she organized her time so she could work part time, edit the university paper, vice captain the triathlon team, compete in triathlons all over the UK, organize climbing and cycling trips in Europe, sea-kayak, volunteer and attend classes full time. After graduating, she moved to the Comox Valley where she worked as an English instructor at the local college. She now works for a web design company, runs a professional organizing business, spends time with her daughter Sholeh, teaches running clinics with ELM, and spends any time left over with friends and nature. Ian Lidster is a long time writer and newspaper journalist. 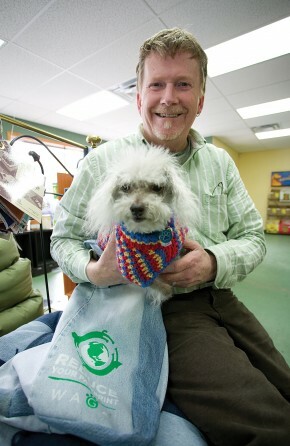 Currently working as a freelancer, he began as a columnist for the old Comox District Free Press (the Green Sheet) in 1977. At that paper he was also a reporter and ultimately assistant editor until it folded in 1994. He then worked at the Comox Valley Echo as columnist, reporter and assistant editor. He has been a regular contributor to the Victoria Times-Colonist and has also freelanced to the Vancouver Sun, Vancouver Province, the Sunday Times of London (England) and was a columnist for the Great Yarmouth Mercury in Great Yarmouth, England in 1981. Ian has won a number of awards for his writing, including Canadian Columnist of the Year, and British Columbia Columnist of the Year, and the BC Attorney General’s Award for Crime Prevention Writing in 1999. Ian is a former secondary teacher of English and History, and is also a certified addictions counsellor and continues to work in that field part time. Married to Wendy, Ian’s hobbies include reading, writing, painting, and especially travelling and he has a passionate love for the Hawaiian island of Kauai.